"Get a Real ROI From Social in 5 Steps"
Free White Paper: "Get a Real ROI From Social in 5 Steps"
Struggling to prove social ROI? 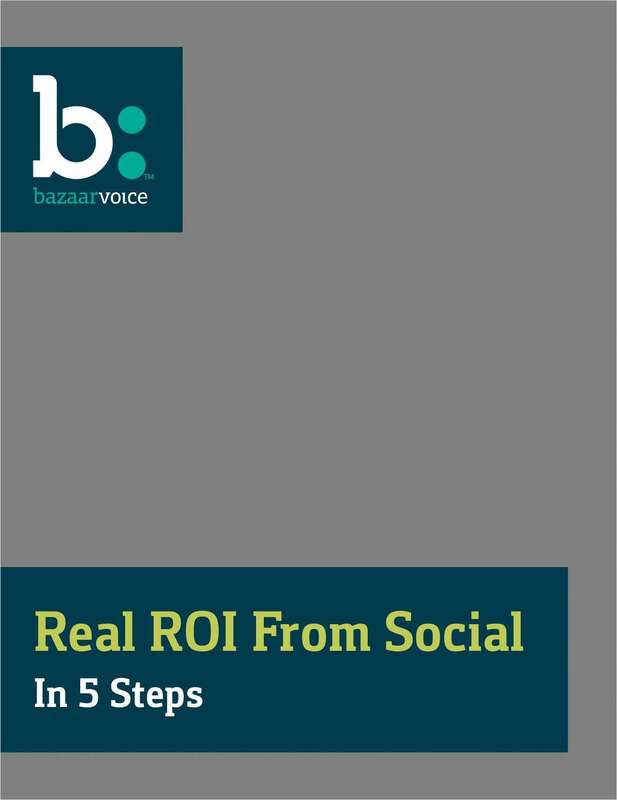 The Bazaarvoice white paper, Get a Real ROI From Social in 5 Steps shows you how the world's most successful brands and retailers are capturing results and proving true social ROI. By submitting this content request, I have legitimate interest in the content and agree that Bazaarvoice Inc., their partners, and the creators of any other content I have selected may contact me regarding news, products, and services that may be of interest to me.